Afghanistan and the region are witnessing a fundamental shift in the variables and dynamics of war and peace. The stakes are higher this time and any miscalculations will have far more dire consequences for the region than ever before. There are new players, new variables, and higher stakes in the war and peace calculus of Afghanistan. The rise of Daesh (or ISIS), the power struggle within the Taliban, increased criminalization, and the regionalization of war have changed the rules of war within the country and beyond. Until recently – the war in Afghanistan had three main components: a sponsor, a safe haven, and a proxy group with a specific political agenda of overthrowing the Afghan government and establishing an Islamic regime based on Sharia. This is no longer the case. 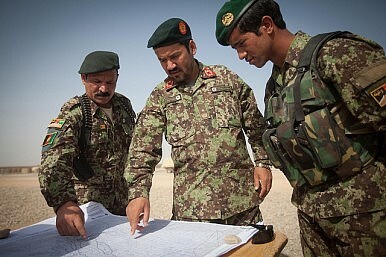 Today, the Taliban movement is divided and entangled in a leadership power struggle, Daesh is increasing its footprint in Taliban strongholds and recruiting from among Taliban dissidents, and criminal networks are shifting their loyalty to Daesh as a reliable partner to ensure the smooth operation of their criminal enterprises along the borders of Pakistan and Iran. Left unchecked, these new fast-paced geopolitical and security realities have the potential to alter the rules of the game and the geopolitical security architecture of the region. But they also present opportunities and challenges for the region to work closely together to tackle a brutal and clever criminal enterprise and terrorist network. What Afghanistan, Pakistan and the entire region requires is hard headed realpolitik to clearly define their common friends and foes. This must be followed by the construction of a common framework of action on their interests and differences. The first step must be a commitment to stop the use of terrorism as an instrument of foreign policy. A regional anti-terror alliance could then follow. The policy of containment, dual games, and “Great Game” politics is over – this time the entire region is exposed to the danger. The Afghan war is multifaceted and complex, with a strong regional element. The increasingly regional nature of this war have the potential to engulf the entire region in a web of instability and insecurity. For now, it is the Afghan National Security Forces that are on the front lines. Going forward, there needs to be collective security measurements to address the security challenges that confront the entire region. This requires a regional anti-terror alliance with a force structure and diplomatic machinery fully resourced and functional, if the current tide of insecurity in the region is to be turned. Unless a regional consensus is not forged with a special emphasis on the role of Pakistan in ending the export of extremism to Afghanistan; peace will remain illusory. Just like war, peace also has regional spillover effects. Examples of the fruits of a peaceful of Afghanistan can be seen in regional multinational mega power and energy projects such as TAPI and CASA 1000, and in the regional fiber optics project. Any peace process in Afghanistan requires a comprehensive roadmap guaranteed by third parties such as China and the United States. Given worsening bilateral relations between Afghanistan and Pakistan, bilateral steps without international guarantees will not work. Central and South Asia cannot simply be bystanders to the security developments in the AfPak region. History has proven that indifference towards the political and security situation in Afghanistan destabilizes the region. Central Asian and South Asian governments must pressure Pakistan through bilateral and multilateral channels to play a constructive role in the Afghan peace process. The containment policy of the 1990s pursued by Central and South Asia backfired, endangering their security and stability. The emergence of regional terrorist outfits such as the Islamic Movement of Uzbekistan or Kashmiri separatist movements trained and equipped in Pakistan are just some of the disastrous results of those failed policies. The stability and prosperity of Central and South Asia are tied to the stability and security of Afghanistan, and vice versa. The countries of the region, near and far, must choose whether to turn Afghanistan into an asset or a liability. Years of great game politicking has only produced misery, poverty and insecurity for the region. In the grand scheme of geopolitics, no single power or country can hope to dictate the security architecture of the region simply by dominating the Afghan government. Tamim Asey is an Advisor and Research Fellow at the Afghan Institute of Strategic Studies (AISS). He regularly advises the Afghan Government and writes in major national and international journals. The president and his team must remember one puzzle piece as they formulate their approach. In Afghanistan, Time to Wage War for PeaceIs the Taliban’s Former Capital Ready to Welcome Them Back?The Taliban’s Delusion Hampers ReconciliationThe Forgotten Cold War Sacrifices of the Afghan PeopleWhy Can’t Pakistan Facilitate a Long-Term Ceasefire in Afghanistan?